Savenda Management Services, a global supply chain management company is claiming K192.5m in damages from Stanbic Zambia for loss of business resulting from its negative credit agency listing. Judge Justin Chashi, of the court’s commercial division, awarded damages to Savenda for losing significant contracts after being reported by Stanbic bank to the Credit Reference Bureau for defaulting on instalments. Justice Chashi found the non-payments were the bank’s fault and made other findings that will affect relations between other businesses and their bankers. 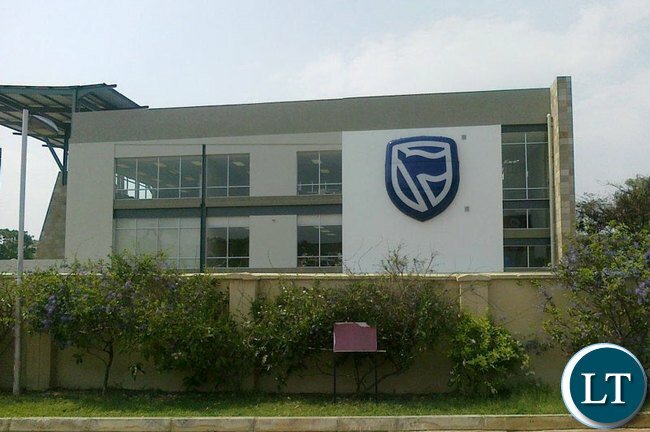 In 2007, Savenda arranged a Stanbic lease buy-back facility for a US$540,000 printing machine, with payment to be made via an overdraft facility. Savenda said the balance on its loan facility did not reduce despite lease payments, and asked Stanbic to explain. According to Savenda, during discussions Stanbic officials “acknowledged” the apparent default on the account was caused by a bank problem. Savenda’s case was that even though the bank conceded the error, it negligently listed the company with the credit agency. That listing resulted in several missed funding opportunities and harm to the company’s reputation. An arbitral award was made in favour of Stanbic and the company’s property was foreclosed by the bank. In court the bank denied any fault, saying when the company did not pay instalments Stanbic was justified in reporting it, thus no negligence was involved. After hearing detailed financial evidence from both sides, Justice Chashi found the problem lay with a bank glitch that led to the account defaulting and then being classified delinquent. While the bank continued to deny any problems on its side, the court quoted a Stanbic letter saying Savenda’s debit had defaulted to an internal suspense account and this “anomaly” had since been rectified. Justice Chashi said if the bank had properly investigated, it would have found the apparent default was caused by a failure of its own system rather than by Savenda’s non-payment. The judge found the bank “culpably careless” for reporting the client without properly investigating. But Justice Chashi said there was another problem: breach of confidentiality. While the parties agreed the bank owed Savenda a duty of care, that duty included keeping customers’ affairs confidential. The Banking & Financial Services Act provides that, in the absence of a court order or client consent, banks should maintain customer confidentiality. The bank had not asked for the company’s consent to give its information to the credit agency, nor was such reporting provided for in the bank’s contract with Savenda. Even though the consent issue was not raised by the parties, “it is the duty of the court when breaches of the law arise to step in” to deal with such infringements even if they were not raised in hearings. The court also had harsh words for the bank’s failure to observe proper process, for example the stipulated notice period when the company was reported to the bureau. Justice Chashi said credit agencies obtain their information from banks and this is used by lending agencies to decide individual applications. It is inevitably used as a blacklisting mechanism, with lenders not being keen to advance monies to reported companies. In this case, the bank’s negligent listing had an adverse impact on the company, with funding for important projects being declined. Finding the company had proved its case and was entitled to relief plus legal costs, Justice Chashi referred the matter to the deputy registrar for assessment of the damages due. Ba LT, indicate the source of the story as the text is verbatim what appeared in the Financial Mail of August 25, 2016. Don’t be like WD. Stanbic Bank is lucky to be in business and maybe not for long. My dealing with the bank revealed a lot of things that I would not share publicly but enough to tell me they have serious shortage of skilled people in key areas, and I don’t know how far they will go if they don’t improve. Uttermost negligence by Stanbic. This Lazyfye work attitude is not good. Just a mere reconciliation of Loan would have saved the bank this huge fine. Shame. This is exactly how language evolves. This is gross negligence on the part of Stanbic.All top management should be fired. Starting with CEO,Risk guys and Head legal.This is shameful. No the CRB is not a regulatory body. They are just like any other business licensed by BoZ. This is likely to lead to more law suits for the banking sector as there is no express indication in the loan documents that defaults shall be reported to the CRB. @Splaka..not exactly. Issue is at the time of advancing a facility, there should be a consent clause where the customer consents to have their information submitted to CRB, good or bad, in the absence of this consent the bank has no right to make the submission to CRB. I once defaulted with one of the banks and reported but made good, now after how many years is one legible for a facility even cash covered!! Bailiffs pounced on stanbic head office and locked it up.They took all their assets. Stanbic has incovinienced a number of their clients in a similar manner to an extent where these can’t credit from anywhere. It is time that the consumer protective society and the competetion commission helped poor Zambians who can’t afford to hire lawers and sort out the incompetence at this bank. This is very very good. CRB has of late placed themselves as the “major” Lender. @ onetime I was approached by a guy from FNB that if I open an account with them they would offer me a loan. When I opened the account they refused to give me a loan. I forgot about the account until it was closed naturally. When I applied for a loan at Stanchart I was told I owed FNB money and my name was at CRB. I got maaad. when I asked FNB they said those were bank charges when the account was inactive. Please sue these vultures.They are busy scrapping the little money Zambians have. What kind of lawyers did Stanbic use?Looks like they used ba kawayawaya.This case shouldn’t even have reached this far if their legal team knew what they were doing.The dam ages being demanded are insanely high and if this works out in favour of plaintiff, then the courts will be awash with law suits against this bank. Poor customer service and this. Stanbic is losing it! This bank is a joke.They have alot of incompetent staff in very sensitive positions.Where was the legal manager during this court case?He should be held accountable and actually he should be dismissed immediately. The CEO is also not serious. Am certain Savenda was laughed at when Stanbic heard the amount he was claiming. But it seems Savenda has the last laugh.Stanbic should learn that the CUSTOMER IS KING.Your staff should be taken back to basic banking principles.This is a large amount out of your pockets Stanbic. This judgement will be reversed. The judge was too emotional in handling this case and Savenda will not see even 1 kwacha from Stanbic.Stanbic is a very big bank and they are already in the process of getting this judgement reversed. Accurate: How will the judgement be reversed and what will prompt that action? Stanbic has already started auctioning its assets.